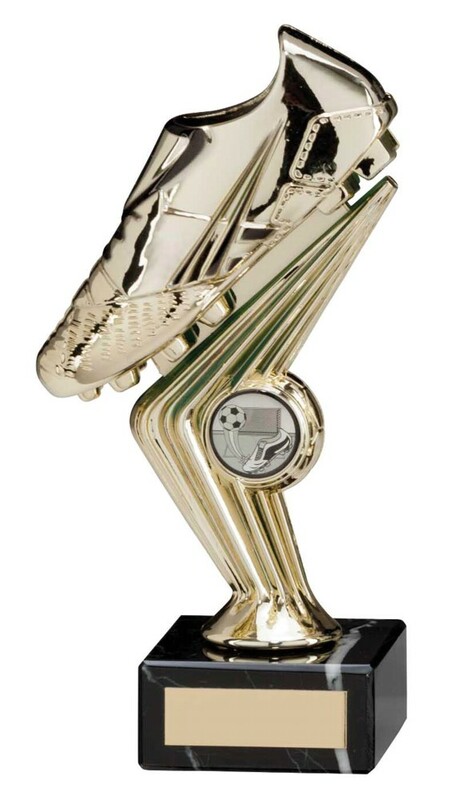 Spirit Falcon Golden Football Boot Trophies. Golden football on a riser mounted onto a heavy black marble base. 3 sizes available, 120mm, 175mm and 200mm high.